The following are open-source teaching materials I developed, largely during my tenure as co-PI on the National Science Foundation (NSF)-supported Research Cooperative Networks program 5-year grant, the Open Science Network. If you like these materials, I encourage you to visit the Open Science Network website (see button below) to find or post other open-source educational materials. The Open Science Network is a network of ethnobiology educators who come from a variety of disciplines but share an interest in human-plant-animal-nature connections. In this wiki, I explain how to set up a private class wiki in which each student creates a page following a content rubric. I use google sites. In 2010 I attended a conference where Vancouver Island junior high students presented short videos they had made showing what they had learned about traditional foodways among their people. I was not only impressed, but thought to myself . . . . surely college students can do this! I returned that fall to teach 50 students North American Indian Cultures for the first time, and decided to assign videos (actually, slide shows made most often from digital pictures) in place of academic papers. The student-made videos were a hit, not only with the students, but also with their families and my university. I went on to make this assignment (detailed in the link above) in several classes: find links to the resultant class YouTube channels below! In 2013 I attended a workshop at the National Socio-Environmental Synthesis Center (SESYNC) on how to use and make case studies for teaching. While there, three of us formed a team and wrote a case study based on an actual court case the Zuni Nation brought against the United States. Our case approaches the issues of land management and environmental justice from three points of view--anthropology, soil science, and economics. Stemming from discussions in 2008, a group of scientists submitted and won a National Science Foundation RCN-UBE 5-year grant to begin the Open Science Network (OSN). It is an open-access group that shares educational materials and encourages cooperation and sharing among educators and students. Its content focus is ethnobiology, or the relationships between cultures, peoples, plants, animals, and nature. OSN began offering workshops at its own annual meetings and at professional society conferences. As McClatchey and Bridges 2014:24 point out, "by 2010 OSN had established a network of over 200 participants with several annual meetings of 60-80 people". The web page established offers teaching materials and ideas. For several years, OSN meetings focused on creating the Ethnobiology Vision & Change document, and I was one of two OSN members who attended the 2013 NSF/AAAS V&C working group that met to track progress on the original Vision & Change and envision future nationwide directions in teaching science to undergraduate students. In 2013 OSN transitioned to an independent organization with bylaws and officers. 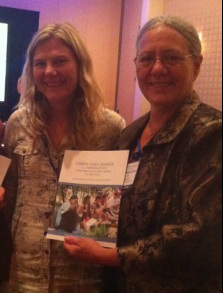 In 2014, a book on teaching strategies was published. McClatchey, Will and K. W. Bridges. 2014. Lessons Learned in Development of an Interdisciplinary Science Curriculum Support Organization. In Innovative Strategies for Teaching in the Plant Sciences, edited by Cassandra L. Quave, pp. 21-31. Springer, NY. Over a period of 3 years, the Open Science Network met to create an ETHNOBIOLOGICAL V&C document. Given our different disciplinary approaches, it was a real challenge!